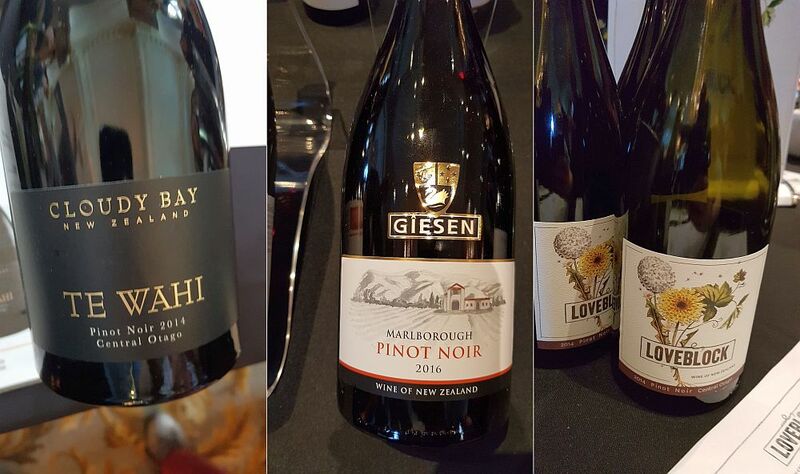 Sauvignon Blanc and Pinot Noir put New Zealand on the wine world’s radar. The climate of the country brought about bright fruit flavours with refreshing acidity. 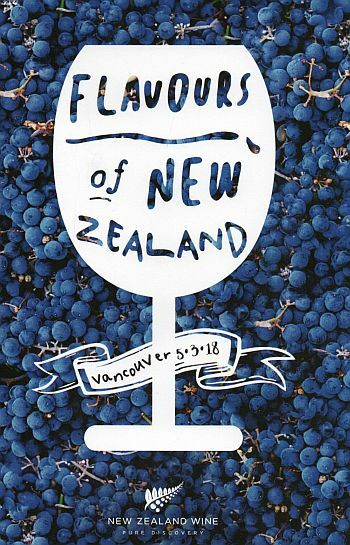 Recently New Zealand Winegrowers in partnership with the New Zealand High Commission came to Vancouver bringing wines from these grapes as well as Chardonnay, Merlot and other grapes for us to try. Below are a few of the wines that I quite enjoyed and I would like to share with you. With the BC Spot Prawn Festival underway, you may want to pick up some of these white and sparkling wines to enjoy with our spot prawns. 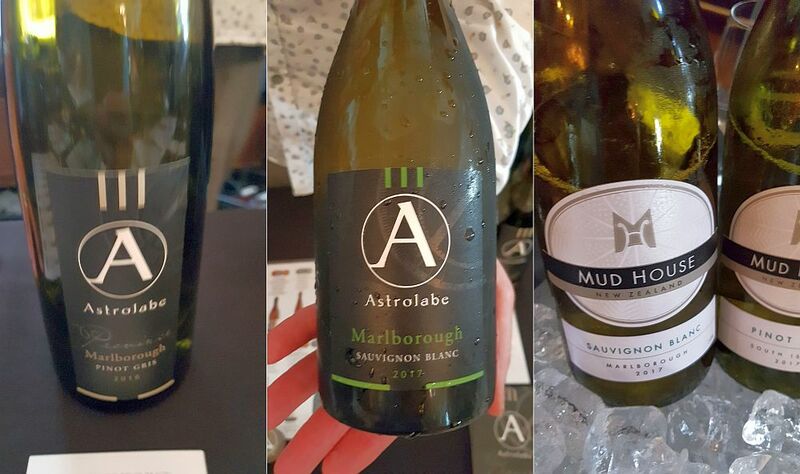 Mud House Sauvignon Blanc Marlborough 2017 ($19.99) – Pine needles and jalapeno pepper aromas. Medium bodied, round with medium acidity. Jalapeno and vegetal flavours. Good quality. Cirro Sauvignon Blanc Marlborough 2017 ($19.99) – Very light green herbal nose. Dry, round, and smooth with medium acidity. Mineral. Green fruit flavours. Tasty. 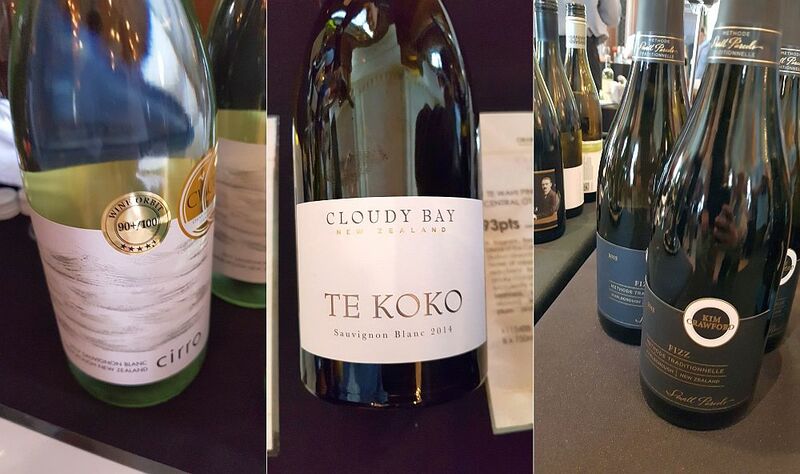 Cloudy Bay Te Koko Sauvignon Blanc Marlborough 2014 ($54.70) – A barrel-fermented Sauvignon Blanc. This wine has a mix of capsicum and green fruit on the nose. Quite nice aromas. Round with medium plus body. Flavours of tropical fruit and a hint of vanilla. A cool wine. Kim Crawford Small Parcels Fizz Sparkling Marlborough 2012 ($29.99) – Light stone fruit nose. Dry with high acidity. Biscuit and citrus flavours up front with crisp apples later. Tiny biting bubbles. Tasty. Oyster Bay Sparkling Cuvee Rosé Hawke’s Bay NV ($23.99) – Very pale copper colour. Light toasty and strawberry aromas. Dry, medium body with high acidity. A tiny biting bubble which later turns creamy. Strawberries and apple flavours. Tart finish. Villa Maria Cellar Selection Sauvignon Blanc Marlborough 2016 ($21.49) – Light jalapeno and vegetal aromas in the glass. Softer, but still high acidity. Salty minerality. Jalapeno, herbal, and green flavours. Tart green fruit finish. Whitehaven Sauvignon Blanc Marlborough 2017 ($18.49) – Light green herbal nose. Fuller body, dry, smooth with medium acidity and some salty minerality. Vegetal/asparagus flavours. Elegant. Whitehaven “Greg” Single Vineyard Sauvignon Blanc Awatere Valley, Marlborough 2017 (not available in BC) – Light flinty, green pepper aroma. Medium plus body, dry, with medium acidity. Green peppers and celery notes on the palate. Tart green fruit finish. Cloudy Bay Te Wahi Pinot Noir Central Otago 2014 ($106.99) – Nice ripe plums, black cherries and sweet spice aromas. Ripe and round plums and black fruit flavours, along with sweet spices. Bigger than the typical Pinot Noir you would expect from New Zealand. Loveblock Pinot Noir Bendigo, Central Otago 2014 ($36.99) – Light smoky raspberry and red cherry aromas. Medium plus body, rounder mouthfeel. Medium acidity. Red fruit and sweet spice flavours. Medium tannins on the finish. Quality. Marisco Vineyards The Ned Pinot Noir Marlborough 2016 ($20.99) – A little earthy along with red fruit aromas. Very fruity flavours, with red cherries and red fruits. Medium body, soft with a light body. A hint of smoke. Fine tannins. Nice. 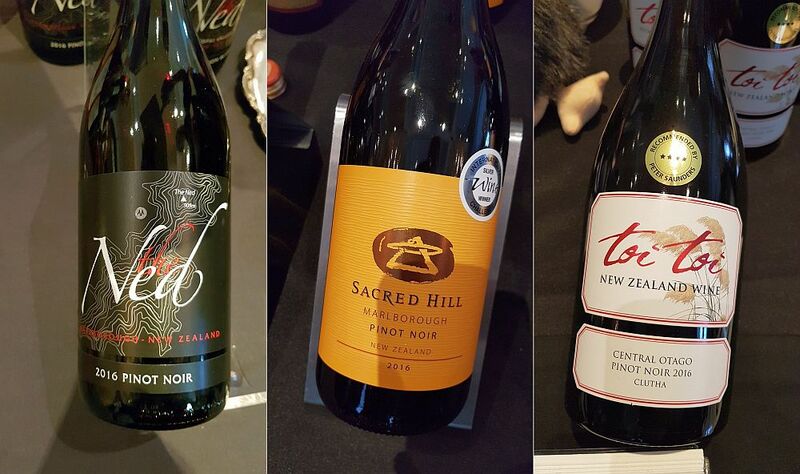 Sacred Hill Vineyards Orange Label Pinot Noir Marlborough 2016 ($24.99) – Light smoky nose. Medium body, dry with medium acidity. Floral, red cherries and red fruit flavours. Toi Toi Clutha Pinot Noir Central Otago 2016 ($29.99) – Nice nose with red cherry scent. Medium plus body, dry, with medium acidity and fine tannins. Raspberries and brambleberry flavours. Whitehaven Pinot Noir Marlborough 2014 ($22.99) – Nice nose with raspberry and red cherry aromas. Medium plus body, smooth mouthfeel. Nutmeg and bramble fruit flavours to start then vanilla and other sweet spices. Fine, light tannins. 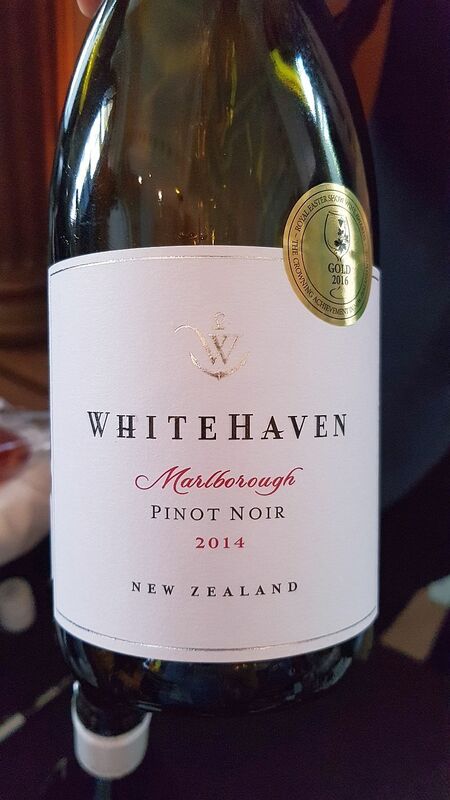 Whitehaven Pinot Noir Marlborough 2015 – (Not yet available in Canada) Light floral nose. Medium plus body and round mouthfeel. The wine’s flavours get bigger in your mouth as you swirl it around. Ripe raspberries and dark fruit flavours, along with some pepperiness.